All Brick one level home has been beautifully updated. New flooring, new white kitchen cabinets, granite counters in kitchen and baths.new light fixtures. Kitchen with granite, white appliances, microwave over range. Pantry. Separate laundry room. Open floor plan with dining room, living room with corner fireplace, sliding doors to patio. Master has walk-in closet, trey ceiling and updated bath with granite double vanities, tub/shower. Huge backyard with privacy fence and nice storage shed. Quiet circle street with sidewalks. Within walking distance of St Andrews School and just around the corner from May Howard Elementary. Join Wilmington Park Pool for low fee. 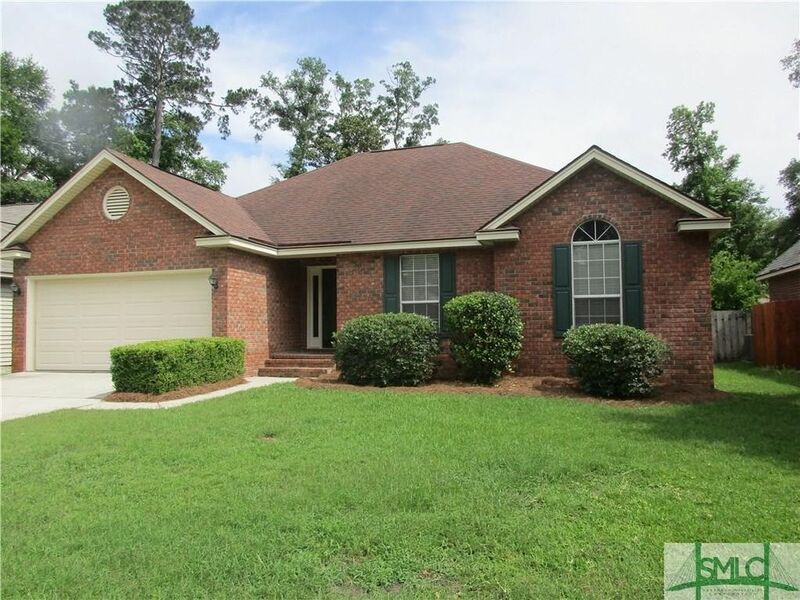 No HOA fees in this centrally located Wilmington Island neighborhood. Directions: Johnny Mercer to Penn Waller--then right on Deerwood---take right on Saint Andrews Way. Property on right.